Only once before have a read a YA book most of the way through before realizing it was categorized as such. I haven’t got anything against YA per se, but having been 29 for a couple of years now, I am generally uninterested in the adolescent themes they explore. But occasionally (though rarely) a YA novel manages to defy its genre conventions and just be a darn good story. Our tempestuous heroine, and narrator, is Astrid Krieger and she lives in a rocket ship. Yes, you read that right. Astrid is the teenaged daughter of very wealthy if aloof parents. In short, Astrid is bored. Her only amusements are pulling the strings of those less perceptive than herself. She’s been recently expelled from her very exclusive high school for cheating – something she never denies doing but only determines to find out who turned her in. Her therapist (and former dean) instead challenges Astrid to do at least three things that she doesn’t want to do. As an embittered, independent teen, the list of potential tasks is quite lengthy. But as Astrid embarks on her emotional scavenger hunt, she realizes that she doesn’t hate everyone/thing quite as much as she thought. 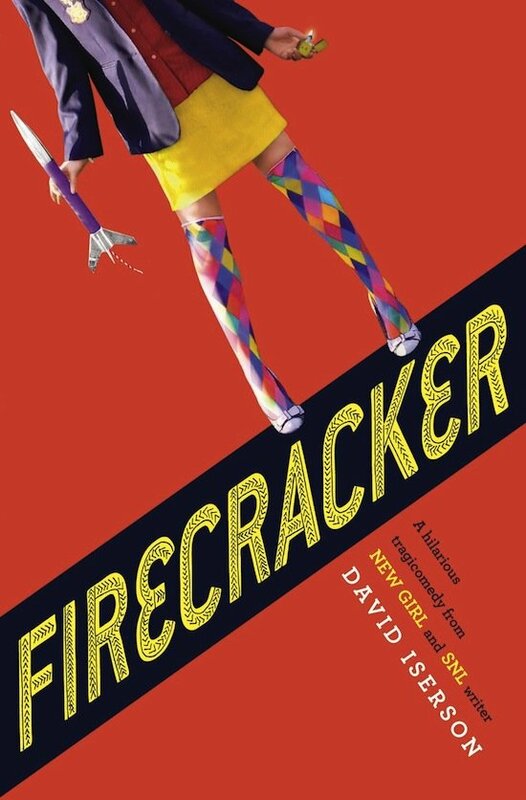 FIRECRACKER is a smart and funny novel, with a freshly modern voice. Angsty without being desperate, it also has a dash of classic 1980s high school movie mixed in. Astrid breaks the fourth wall quite often and speaks directly to her readers – and it works. And her descriptions of others are hysterical and spot-on. Talia was feebly drunk. Drunk-Talia was like one of those inflatable people with swinging arms outside car dealerships. Loc. 808 of 3004. Despite her flippant manner, Astrid is a complex and sympathetic character. When it comes time to implement her plan that is so-crazy-it-just-might-work, we are firmly in her camp. Even if you are out of your teenage years (like me, by a good amount), this fast-paced book is highly enjoyable. I can only imagine if I had had Astrid to look up to when I was in 6th or 7th grade. Watch the book trailer for FIRECRACKER below. This review first appeared on the website for Crossroads Writer’s Conference.